Inflation is very low this year. For the most part, the limits in 2017 will stay the same as in 2016. 401k/403b/457 contribution limit will stay the same at $18,000 in 2017. If you are age 50 or over, the catch-up contribution limit will also stay the same at $6,000. Employer match or profit sharing contributions aren’t included in these limits. 401k and 403b share the same limit. 457 plan limit is separate. The total employer plus employee contributions to all defined contribution plans by the same employer will increase by $1,000 from $53,000 in 2016 to $54,000 in 2017. The age-50-or-over catch-up contribution is not included in this limit. If your employer limits your contribution because you are a Highly Compensated Employee (HCE), the minimum compensation stays the same at $120,000 in 2017. SIMPLE 401k and SIMPLE IRA plans have a lower limit than 401k plans. It will also stay the same at $12,500 in 2017. If you are age 50 or over, the catch-up contribution limit will also stay the same at $3,000 in 2017. Employer contribution isn’t included in these limits. Traditional and Roth IRA contribution limit will stay the same at $5,500 in 2017. The age 50 catch up limit is fixed by law at $1,000. 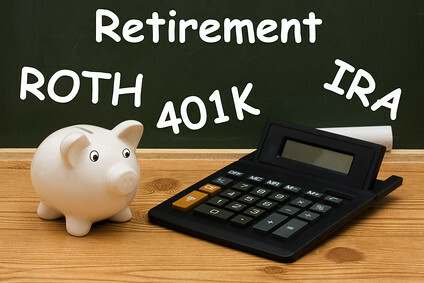 The IRA contribution limit and the 401k/403b or SIMPLE contribution limit are separate. The income limit for taking a full deduction for your contribution to a traditional IRA while participating in a workplace retirement will increase by $1,000 for singles, from $61,000 in 2016 to $62,000 in 2017, and for married filing jointly, from $98,000 in 2016 to $99,000 in 2017. The deduction completely phases out when your income goes above $72,000 for singles and $119,000 for married filing jointly, an increase by $1,000. The income limit for taking a full deduction for your contribution to a traditional IRA when you are not covered in a workplace retirement but your spouse is will go up by $2,000 for married filing jointly from $184,000 in 2016 to $186,000 in 2017. The deduction completely phases out when your income goes above $196,000 for married filing jointly, also up by $2,000 in 2017. The income limit for contributing the maximum to a Roth IRA will go up by $1,000 for singles from $117,000 in 2016 to $118,000 in 2017. It will go up by $2,000 for married filing jointly from $184,000 in 2016 to $186,000 in 2017. You can’t contribute anything directly to a Roth IRA when your income goes above $133,000 for singles and $196,000 for married filing jointly, up by $1,000 and $2,000 respectively in 2017. You can still do a backdoor Roth IRA in such case. The income limits for receiving a Retirement Savings Contributions Credit (“Saver’s Credit”) will stay the same in 2017 except the 10% credit band. For married filing jointly, it will be $37,000 (50% credit), $40,000 (20% credit), and $62,000 (10% credit, up by $500). The limits for single will be at half of the limits for married filing jointly, $18,500 (50% credit), $20,000 (20% credit), and $31,000 (10% credit, up by $250). Thanks, Harry, for updates. I’ll be able to update my notes on my spreadsheet that I use to estimate our taxes. I have a couple of questions. If a person’s birthday is at the end of the year (mid-November in our case), can the catch-up of $6k to the 401k and $1k to the Roth IRA (backdoor) be contributed before the birthday? Any caveats/rules in case you quit or get laid off from the job before turning 50, but have already contributed $24k to the 401K? It’s totally at an employer’s discretion to limit or not an access to its 401k for such an employee and if it wants to limit, the company’s HR would inform him/her, correct? I’m asking because I haven’t received any notification that we should contribute less than $18k to the 401k, though the salary+bonus is much higher than $120k. I do remember when one year the Dependent Care FSA contributions were slashed. I wanted to contribute $5k, but my company allowed to do $4,400 only. If I recall correctly, it sent me a blurb about high compensation or something. Now I contribute $2,500 and my spouse does the other $2,500. That solved the problem. You are eligible for the catch-up in the year you reach 50. It doesn’t matter which month your birth date is in. The limit is for the calendar year. The HCE threshold is just one necessary condition that may get you limited. If you are under it, you definitely won’t get limited. If you are above, you may or may not get limited. Your employer will tell you if you are limited. If they find out you should be limited after the fact, they will return the excess to you. Hi Harry, I have a strange dilemma that I’d love your take on. I am a resident alien in the U.S. Given that I work for an international organization (in the UN system), I do not pay income taxes. My employer has only two retirement options – one is a pension that is super amazing, if you stay there forever, which I do not plan to do. I do contribute to the pension because if I leave in a few years, I can withdraw about several times my cumulative contribution from the pension. The other option, which is voluntary, is the Roth 401K. So of course I signed up for it as soon as I started and have been contributing 12%, which I plan to increase to the maximum next year, putting me at about 17%. My dilemma is that I don’t know what to do with the rest of my money. I can easily save an additional 15% of my take home pay, excluding the pension and Roth 401K. I’ve opened an account with Betterment and have a couple of thousand there, but I’m afraid about losing money if I add more. Do you have any advice on how I should think about my options? Do the Roth IRA. If you have to leave, you can still treat it as long-term investment for your retirement. It sounds like your additional 15% of take home pay is more than the Roth IRA contribution limit anyway. So you will still have money outside a Roth IRA. I’m surprised you project the IRA limit will remain at $5,500. Hasn’t it been there for like 4 years now? In those 4 years I would think there has certainly been enough cumulative inflation to warrant an increase. From July 2012 to July 2016, CPI increased 5% in 4 years. At this pace it will stay at $5,500 in 2018 as well. Ok that makes sense. What would inflation have to be for an increase? Need another 3% increase for it to go to $6,000. Maybe it will get there in 2019. You mention the HCE will remain the same at $120,000 for single etc. I thought the new rules passed by the DoL in May that become effective on 12/1/16 will increase that limit to $134,004 with a provision to adjust every 3 years to remain at the 90th percentile of compensation. The HCE we are talking about here, for the purpose of whether one’s 401k contribution can potentially be limited by the employer due to inadequate contributions by the non-HCEs, is set in the tax law. I don’t see how the DOL can change it by its rules. What you referred to must be HCE in a different context. Can you define highly compensated employee? Very informative and thank you! I have a question re: Maximum annual additions to all defined contribution plans by the same employer. Is the $54,000 inclusive of the 50+ catch-up contribution limit? Or on top of, meaning the maximum is $60,000? Is the $18,000 401k limit for just the employee’s contribution, or is the employer’s contribution added against the $18,000? Hilarious! The IRS should just post your website on their News page. I love how government entities delay decisions upon which we already know the outcomes. I think most people were hoping that the limits would be increased, but I guess hope doesn’t correlate with inflation. I work in a public school system and I’m covered by a 403b with no employer matching. The fees for my 403b are 2.16%, which seems really high to me. My income is over $72K, so I can’t deduct an IRA from my income. The 403b is deductible from my income, but I feel like the fees are killing performance. Is there any way for me to save pre-tax money for retirement and not pay high fees? Should I just fund a Roth IRA, where I could select lower fee funds instead? You are in good company as the recent New York Time series of articles about 403(b) plans show: Think Your Retirement Plan Is Bad? Talk to a Teacher. Using a Roth IRA is certainly one way to deal with it except it has a lower contribution limit. Some places also have access to a 457 plan which few people know about. For additional money, if you are not going to work for this employer for many years, it can still be better to bear the fee for a few years and just do a rollover when you leave the employer. See Alternatives to a High Cost 401k Or 403b Plan. I contributed $5000.00 to my fsa dependent care account with my employer (a municipality). I totally forgot to submit the claim form for the final $1000.00 in the account before the expiration date of June 30 (including the grace period of September 28). It’s now early December. Do I kiss that $1000.00 goodbye? Do I lose it for good? Or, is there some way I can recover it? How do I get it? I participated and maxed out my workplace 401K ($18k for 2016), but my spouse’s work not does offer a 401k plan. So I opened an IRA for him and we maxed that out at $5,500 for 2016. My question is, if our reported joint income is under $184k, I can still contribute another $5,500 tax deductible to another IRA under my name, correct? Not correct. See first paragraph under Deductible IRA Income Limit. I work for a company which provides access to a 401K plan offering both traditional and Roth options. They also have a 6% company match. I am over 50, so can I put $24,000 in the total of both plans or just in traditional and “more” in the Roth? I was thinking the administrator wouldn’t allow me to go past my maximum, however for 2016 I see the total contributed to both options was $25,600, what do I need to do if this is over maximum? Mix-and-match between traditional and Roth, not a separate limit for each. Employer match or profit sharing contributions aren’t included in the limit. CAN I MAX OUT A CONTIRBUTION TO A 403(B) ERISA PLAN (24K, ALL IN THE PRE-TAX PORTION) and IN ADDITION, MAX OUT AN INDIVIDUAL ROTH, PRESUMING THE INCOME lIMIT PERMITS IT? Hi My Employer and their payroll company they switched too late last year really messed up bad. They over deducted 22500 on my w2 12a deductions which were only 401k deductions. 18k is the limit for my age/filing status. They messed up and forgot to deposit 2500 into my 401k. 20000 was deposited into the 401k in 2016. I requested two amounts of that 2000 overage in 2016, Two 1099R in 2016 from the 401k company because deductions never stopped when I informed them it was getting close to the limit and needed to stop so I had to request the 1099R twice. Then they stopped the deposits to the 401k company and on accident continued 401k deductions but not depositing them into the 401k. Also they messed up all of the net totals on the paystubs so I could not easily tell this had happened and the payroll company refused to correct the messed up coppies of the paystubs to make my documentation whole. On the 1099Rs the 401k company said their processing department was backed up and even though I requested the 2nd part of the 2000 in 2016 it will show up on a 2016 1099R and the other on a 2017 1099R. 2250 of the amounts they forgot to pay or put in my 401k got put on one of my 2017 paycheck and taxed. 150 got put in as a 2017 employee contribution in 2017 even though it was deducted in 2016 and they told me it would be coded as an employer match to fix the issues and they messed that up by coding it different than what they told me and I am not sure that really is the appropriate fix I dont know if they can claw it back or recode it since its already deposited. Then there is another 100 that has not hit any of my accounts and I have no idea how they came up with it on my 12a deduction total as I cant find it on any of the paystubs. I have contacted a cpa, my employer and 401k company multiple times like 15 plus literally and I dont honestly think any of them know what to do to fix the mess they caused. I even told them to stop contributions before the overages all happened, crossing 18k What is the right way to fix this so I dont get audited, do it right, and dont owe a tax penalty for something that is not my fault. They failed to stop the contributions after being warned multiple times, my w2 is wrong, my 401k is wrong, I am ticked everything was not on 1 or 2 2016 1099R. In a nutshell can you tell me the correct fix please? In Summary 22500 was is on the w2 12a 401k deductions. 20k was deposited into the 401k, 2 1099R were requested for the 2k over deposited in the 401k, One will be a 2016 1099R other 2017 1099R. 2250 was payed as regular wages in 2017 of the overage. 150 was deposited as 2017 employee contribution in 2017 even though it was deducted in 2016, and 100 I think is an accounting error that has not hit any of my accounts for a total of 22500. I dont care whether they pay the 100 to me or not but they need to correct all of the numbers right. I just want to do the right thing and fix it properly. What is the correct fix because after contacting people over 15 times I think they dont know what to do and I am not confident continuing to contact them will help unless I tell them the exact thing to do. Be my Tax Hero LOL. Harry, Do have any idea the right way to fix my issue? Sorry, only your employer and their payroll and 401k providers can fix the problems. You can also contact Department of Labor’s Employee Benefits Security Administration (EBSA) at 866-444-3272. Maybe that will put more pressure on the employer and their providers. Hi Harry, The problem is I dont think they know how to correct the numbers correctly. Thats why I was asking what the correct fix would be for them to do. 22250 was deducted in 12a, but only 20000k was deposited. I 1099Red the 2k. They put 180 as a employer match in 2017 and payed and taxed the rest on my 2017 paychecks. If they payed it out taxed on a paycheck I am thinking they need to amend the 12a amounts on the w2 corrected, but I suspect their tax people are not telling the right info/fix. What is the proper fix beings its 2017 now? Harry, for all the sites I’ve been reading over the past eight hours, yours has given me the most information. For that I thank you. I am self employed, contribute the maximum for my income to a SEP account, 16K, contribute the maximum to a Roth and an HSA. My spouse contributes 10% of her income to a 403b, around 6K. Our AGI will be about 103K for 2016. Neither of us are over 50. Would it be smart, and deductible, to open an IRA for my spouse? It seems to be my only option to lower our tax liability and I would think worse case scenario, she has 5500 more toward retirement, but hoping it’s actually deductible. Thanks Harry. I appreciate all the information I’ve gleaned so far. Hope to indulge some more. It would be smart. $103k in AGI falls in the partially deductible range. If that number is accurate she can contribute and deduct about $4,000. If she contributes more to the 403b this year, she may be able to get it to 100% deductible next year. If you switch from contributing to Roth to contributing to traditional IRA, it will be deductible too (assuming same level of income this year as last year). My company just notified me of a return check from my 401k due to ADT regulations of $3200 (HCE regulation variance). I max out my 401k deduction every year. How do you recommend treating money like this? We have some pre-tax and post tax IRA accounts; can I place the money in any of these accounts while maxing 401k deduction in the same year? Thanks for the advise, great website! “The IRA contribution limit and the 401k/403b or SIMPLE contribution limit are separate.” See the income limit for taking a deduction for contributing to a traditional IRA and the income limit for contributing to a Roth IRA in the article. Do the employer contributions count towards the 54,000 limit if you are not vested in them? I ask because if I do not stay with my present company for 2 years, I will never actually receive the employer contributions in any form. They count. The limit is on the total going into the account for the year. Vesting controls whether you get to keep the money down the road. Whether you end up keeping it, the money is still going into the account. At the time of the money goes in, there’s no way to tell whether you get to keep it or not in the future. They can only apply the limit at the time the money goes in. Thanks Harry! Oh well, not what I was hoping but best to know for sure. I have a question about combined limits for 401K and 403b in the same year. I recently switched jobs from a For-Profit to a Not-For-Profit Company. I had already maxed my 401K for the year before leaving my job. Can I in the same year also contribute to 403B ?